H & R Paving & Landscapes specialise in commercial & domestic paving & brickwork for driveways Sunderland, patios, car parks & forecourts in Sunderland. 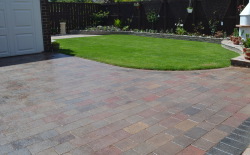 H & R Paving & Landscapes specialise in Tarmac, Block Paving & Patio restoration. H & R Paving & Landscapes supply & install artificial grass in Sunderland. H & R Paving & Landscapes specialise in block paving in Sunderland. H & R Paving & Landscapes have built many Patios within the Sunderland area. H & R Paving & Landscapes specialise in tree felling and planting, garden maintenance and decorative Landscape gardening Sunderland. H & R Paving & Landscapes specialise in beautiful driveways in Sunderland, Durham and surrounding areas. H & R Paving & Landscapes provide patio block paving and sealing in Sunderland. We offer a wide range of patterns, colours & types of paving for driveways to all of our customers in Sunderland & are happy to advise. Only the highest quality materials are used & the workmanship is of our very highest standard. H and R Landscapes specialise in block paving in Sunderland. 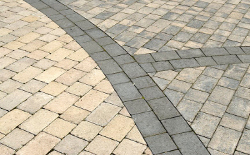 We are a well-established company in Sunderland with many years experience in block paving and cover all types of driveway paving, patio paving and walling. 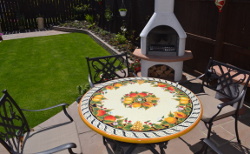 Paving in Sunderland for over 20 years, we have built up a good reputation as patio specialists. With a well designed patio, your garden becomes an additional room to your home which will add value to your property. We will visit your home, survey, and give a free written quotation for driveway or block paving sealing. We specialise in Tarmac, Block Paving & Patio restoration throughout Sunderland, Durham & further afield. Our Artificial Grass projects can range from a small garden to a large commercial sports field. We supply, install and maintain Artificial Grass throughout Sunderland & surrounding areas.